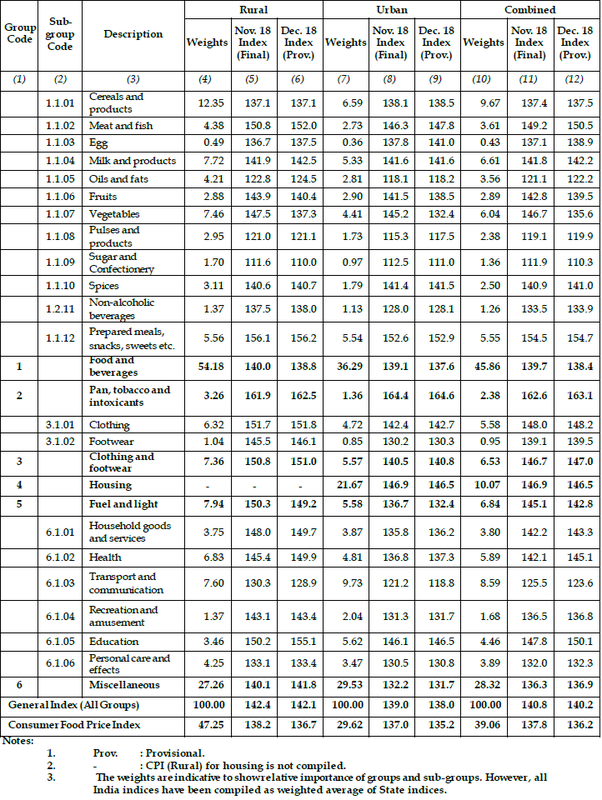 Jan 14, 2019: The Central Statistics Office (CSO), Ministry of Statistics and Programme Implementation has revised the Base Year of the Consumer Price Index (CPI) from 2010=100 to 2012=100 with effect from the release of indices for the month of January 2015. 4. Provisional indices for the month of December 2018 and also the final indices for November 2018 are being released with this note for all-India and for State/UTs. All-India provisional General (all-groups), Group and Sub-group level CPI and CFPI numbers for December 2018 for Rural, Urban and Combined are given in Annexure I. 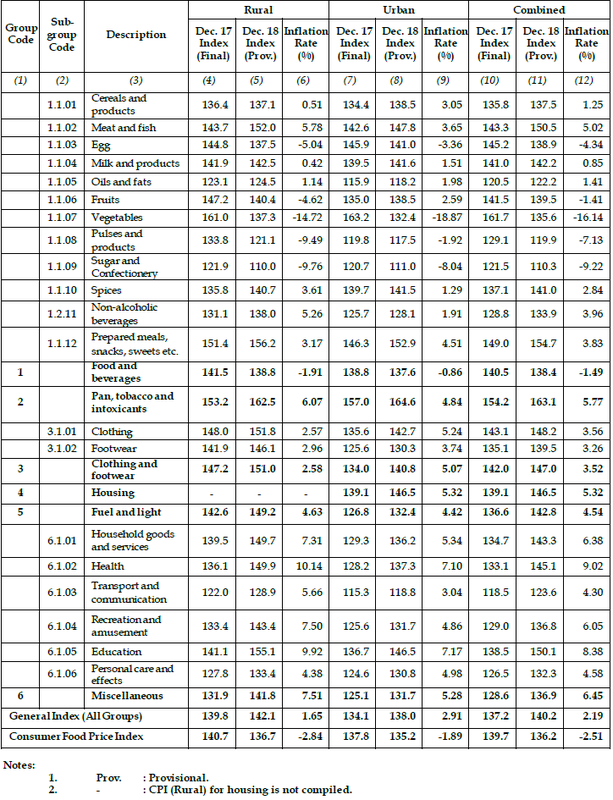 The inflation rates of important categories of items are given in Annexure II. 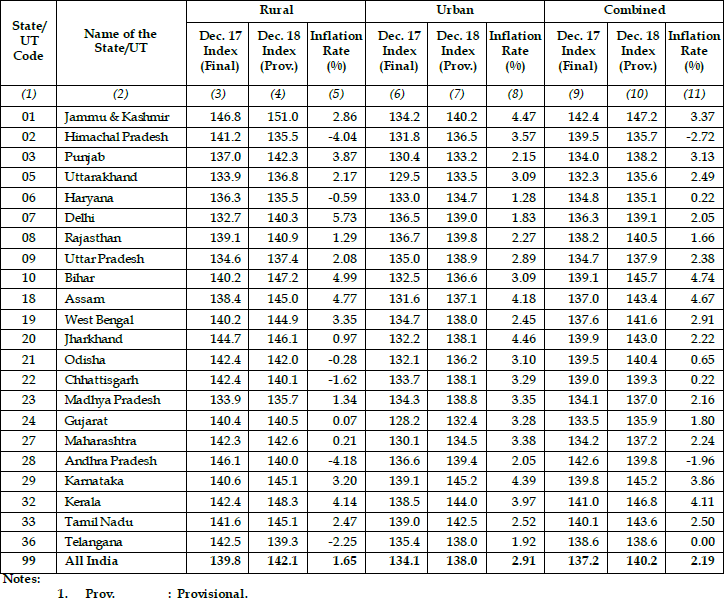 State/UT wise provisional General CPI numbers for Rural, Urban and Combined are given in Annexure III. 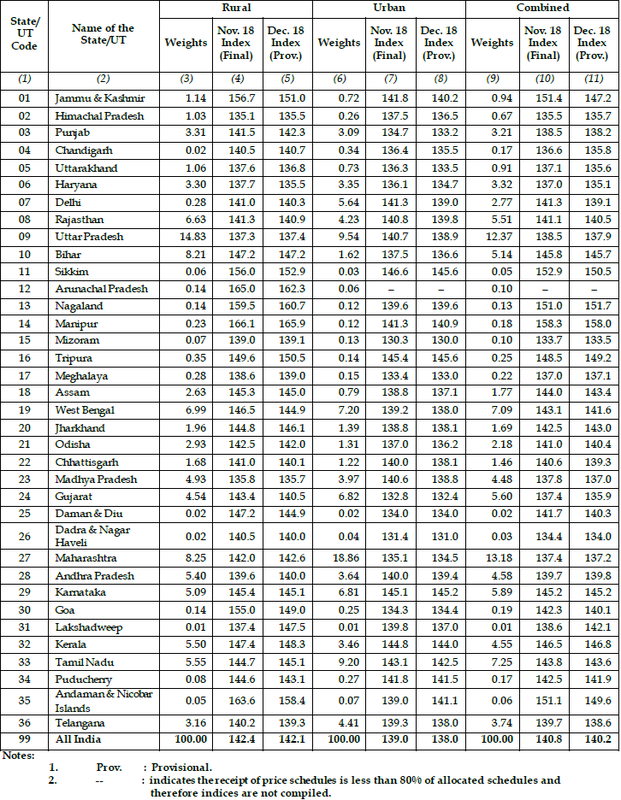 Inflation rates of major States, having population more than 50 lakhs as per population Census 2011, are given in Annexure IV. State/UT–wise Group CPIs are available on the Ministry’s website. 5. Price data are collected from selected towns and selected villages by the Field Operations Division of NSSO. Price data are received through web portals, maintained by the National Informatics Centre.